*Wondering where the title comes from? So here’s my hat trick for the boys’ Halloween costumes. 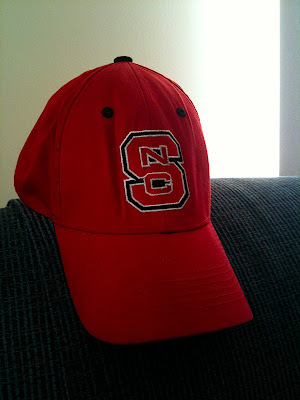 We were fortunate to have a green ball cap in the house (from when Dave was on the crew of the New Hope Valley RR in North Carolina) and we have several red NC State ballcaps, so it was 50 cents at Michael’s to pick up some felt and make new fronts. No, they aren’t perfect. 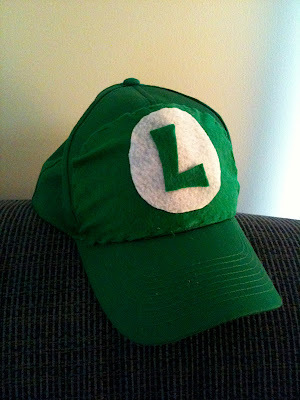 And no, they aren’t the same floppy plumbers hats that the animated characters have. But for 50 cents for both hats…and the ability to bring the hats back to its original form by pulling the thread holding it in place…this will work well. 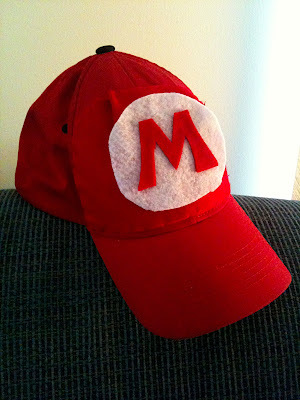 Besides, these are adult ball caps, they’re pretty roomy on my boys’ heads. I hope to have the 2nd pair of overalls finished by the end of this weekend. Then the only thing left will be the mustaches, which I haven’t figured out quite yet. The boys have two Halloween events next weekend.